The deadline for applying for Center for Korean Studies scholarships for the 2019–2020 academic year is February 1, 2019. To apply, visit the University of Hawai‘i student scholarships Web site (STAR) at www.star.hawaii.edu/scholarship/ and complete the appropriate on-line application form. Search for our scholarships using the keyword Korea. Please note that the listing Center for Korean Studies Student Scholarships & Awards Fund covers the CKS graduate, undergraduate, graduate travel, and Donald C.W. Kim scholarships. Send an electronic or hardcopy of your non-UH transcripts from your prior graduate program(s) or undergraduate transcripts if you transferred from outside the UH system. Applications for the Foreign Language and Area Studies fellowships and Korea Foundation scholarships should be made following the instructions in the respective descriptions on this site. The Center for Korean Studies Graduate Scholarships range up to $2,500 and are available for full-time graduate students at UH Mānoa who demonstrate a proven commitment to the field of Korea-related studies. Scholarships can be used for tuition, special thesis needs, and some types of fieldwork. New incoming graduate students in Korea-related studies at UH Mānoa are encouraged to apply. The scholarship competition is open to all U.S. citizens and international students. 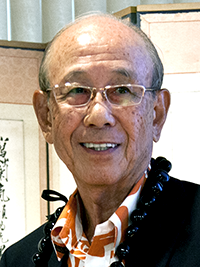 These scholarships were established to provide financial assistance to undergraduate students with a commitment to Korea-related studies at UH Mānoa. Recipients must be of junior or senior standing enrolled full-time with a documented commitment to Korea-related studies. Recipients must have a minimum 3.0 GPA. Financial need will also be considered by the Review Committee. The scholarship competition is open to all U.S. citizens and international students. This scholarship was established by the Center for Korean Studies in honor of Donald C.W. 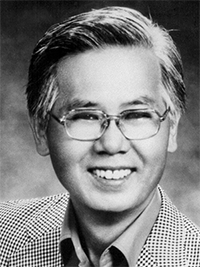 Kim (1928–2018), a long-time supporter of Korean studies at the University of Hawai'i. The scholarship was created both to provide financial assistance to top graduate scholars currently doing research in Korea-related studies at UH and to support incoming students to the program. The scholarship competition is open to U.S. citizens and international students. East-West Center grantees and full GAs/TAs are not eligible to apply. Applicant must be considered an outstanding student (M.A. or Ph.D.) in the humanities or social sciences whose primary academic interest is focused on Korea. This is a competitive award. Applicant must be a registered, full-time graduate student. Applicant must be able to demonstrate an advanced level of Korean language proficiency. This scholarship provides support for students enrolled in any discipline at the University of Hawai‘i at Mānoa with a focus on or interest in researching Korean Americans in Hawai‘i or elsewhere in the United States. The award may be used for costs associated with attendance (e.g., tuition, books, fees) or to provide stipends for materials, travel, and the like to conduct research. The scholarship is available to full-time undergraduate and full-time or part-time graduate students pursuing a degree or certificate. This scholarship ranging up to $5,000 was established to provide financial assistance to an undergraduate or graduate student in Korean studies at UH Mānoa. The scholarship is available beginning in the fall semester of each academic year. U.S. citizens only. East-West Center grantees and full GAs/TAs are not eligible to apply. Applicant must be considered an outstanding student in Korean studies or a Korea-related field of study. This is a competitive award. Applicant must be a full-time classified student in an undergraduate or graduate degree program. Preference is given to students of Korean ancestry who are U.S. citizens and to undergraduate students before graduate students. Applicant must be considered an outstanding graduate student (M.A. or Ph.D.) in Korean studies or a Korea-related field of study. This is a competitive award. Applicant must be a full-time classified student at the University of Hawai‘i at Mānoa. Applicant must be considered an outstanding full-time graduate student (M.A. or Ph.D.) in Korean Studies or a Korea-related field of study. This is a competitive award. Academic merit is based on a minimum 3.4 GPA. The scholarship competition is open to all U.S. citizens and international students. Applicants must be a full-time classified undergraduate student (junior or senior standing) at the University of Hawai‘i at Mānoa. Applicants must have a cumulative grade-point average of 3.2 or above. Financial need shall be a criterion in making this award although not necessarily as defined by federal guidelines. 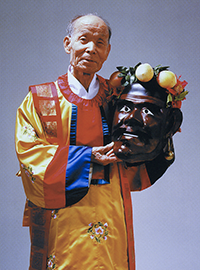 This scholarship celebrates the life and performing arts of Kim Ch'ŏn-hŭng (1909–2007), an extraordinary Korean dancer and musician whose impact on Hawai'i began in the 1960s and continues today. This scholarship seeks to assist students in studying and understanding Korean dance and music, particularly the older forms Kim practiced, and in contributing to the further understanding of the art forms among the scholarly and broader communities. Applicants must be classified full-time or part-time, undergraduate or graduate students pursuing a degree at any campus in the University of Hawai'i system with a focus on Korean dance or music with priority given to traditional Korean dance and music, or on Korean studies with a strong concentration in various aspects of Korean performing arts, and have demonstrated a solid commitment to this area of study. Academic merit is based on a minimum 3.0 GPA. Foreign Language and Area Studies (FLAS) Fellowships for graduate and undergraduate students are available for the 2016–2017 academic year and for summer 2016. U.S. citizen and permanent-resident UH Mānoa students combining modern foreign-language training with area/international studies in full-time degree programs are encouraged to apply. Fellowships for the 2016–2017 academic year include a $15,000 stipend and tuition cost for up to ten credits per semester for graduate students and a $5,000 stipend and tuition cost up to $10,000 for undergraduate recipients. Fellowships for summer 2016 carry a $2,500 stipend and tuition up to $5,000 (an intensive language-study plan is required). Students who already possess Korean language fluency equivalent to educated native speakers will be given lowest consideration. To apply for fellowships to study Korean and other East Asian languages (Chinese and Japanaese), visit the University of Hawai'i student scholarships Web site (STAR) at www.star.hawaii.edu/scholarship/ and search using the keyword FLAS. The deadline for applications is February 2, 2016. FLAS awards are subject to funding by the U.S. Department of Education. Major fellowships such as East-West Center grants and half-time graduate assistantships cannot be held concurrently with FLAS academic-year awards. Questions about FLAS scholarships should be directed to the School of Pacific and Asian Studies fellowships coordinator, Chizuko T. Allen (chizuko@hawaii.edu), telephone (808) 956-2210. An information sheet with answers to common questions about the FLAS fellowships is available here. The Korea Foundation fellowships for field research seek to promote Korean studies and facilitate in-depth research on Korean topics by supporting on-site study and research by scholars and Korea specialists. Fellowships are awarded for Korea-related research in the humanities and social sciences, culture and arts, and comparative research related to Korea. Doctoral candidates who have completed all academic requirements except their dissertation (for Korean studies majors, those who are in their coursework may apply). University professors and lecturers and professional researchers who are currently engaged in Korea-related research or courses at universities or research institutes (applicants with a specific research purpose such as the writing of their dissertations or publications of books are preferred). Former recipients who have completed a Korean studies fellowship period within the past three years. Application submission deadline in Korea: July 31 of the year preceding the desired felllowship year. The Korea Foundation fellowships in Korean language training are intended to enhance competency in the Korean language among Korean studies scholars, graduate students, and professionals in Korea-related fields by providing an opportunity to undertake intensive language training in leading Korean universities. Consult the Korea Foundation Web site (http://www.kf.or.kr) for the latest details regarding this program. Applicants must have a basic knowledge of and an ability to communicate in the Korean language (intermediate level preferred). For Korean nationals, only those with foreign residency status are eligible to apply. The number of fellows varies based on the Foundation's annual plan. Application submission deadline in Korea: July 31 of the year preceding the desired fellowship year.